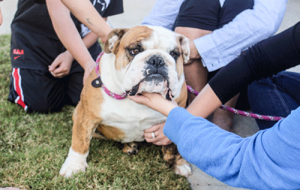 Bulldog Rescues are often nonprofit organizations who rely on fundraising and donations to do the work that they do. They take in surrendered bulldogs to train and find new loving homes for them. Giving Bean works with several Bulldog rescue fundraisers helping them raise funds for their important cause. Giving Bean’s coffee fundraising program is easy and effective with no startup costs, step by step, and online support. Unlike other fundraisers Giving Bean has products that people use every day. We feature freshly roasted coffee, artisan teas, and all natural gourmet cocoa. There is something for everyone! With the traditional fundraiser you will make 40%. In addition to traditional paper fundraisers, Giving Bean offers online fundraising. You make 25% from online sales. Adding a link on your website to your page on Giving Bean is a great way to get some online sale traffic while completing your traditional fundraiser. Your online store remains open even after your paper fundraiser is finished.